A Settlement & Conveyancing Service you can trust. Getting you into your next home, fast. To deliver a secure, reliable and professional service. If you are buying or selling a property, there is nothing more valuable to your property experience than having the support and expertise of the right company who specialise in conveyancing and settlement services. 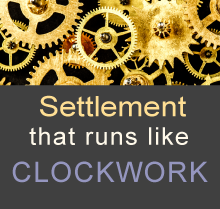 At Dunsborough Settlements, we give you peace of mind your settlement is being handled expertly and professionally. Whether you are a first home buyer or buying and selling your twentieth home, we provide you with the time and advice you need to ensure you thoroughly understand the process and we are committed to providing a smooth, efficient and stress-free settlement for all of our clients. Dunsborough Settlements are members of the Australian Institute of Conveyancers (WA Division) and are Certified Practising Conveyancers. Please contact Dunsborough Settlements on (08) 9756 8500 or email info@dunsboroughsettlements.com.au to discuss your settlement requirements.